Spring feels like it has moved on to early summer here. The trees are done blossoming and now there are local strawberries and early cherries at the roadside fruit stands. I know from reading blogs whose authors live in other parts of the U.S. or in Europe that this is not the case everywhere! This week I finished up a batch of antique clock face pincushions and the two deer pincushions which you can see here. 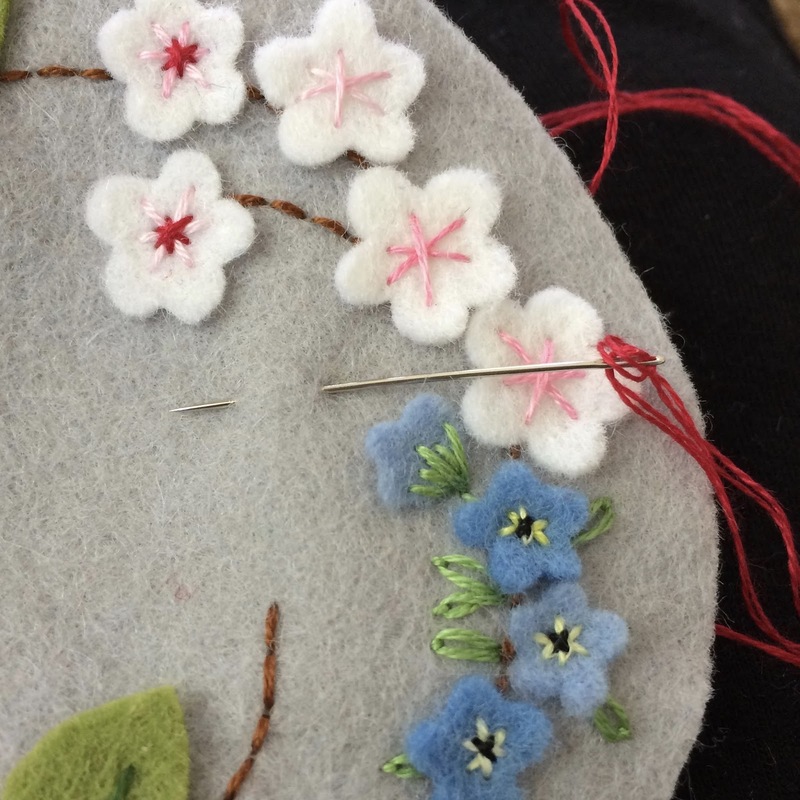 After that lot I wanted something completely different to work on and settled on some pretty flowers. 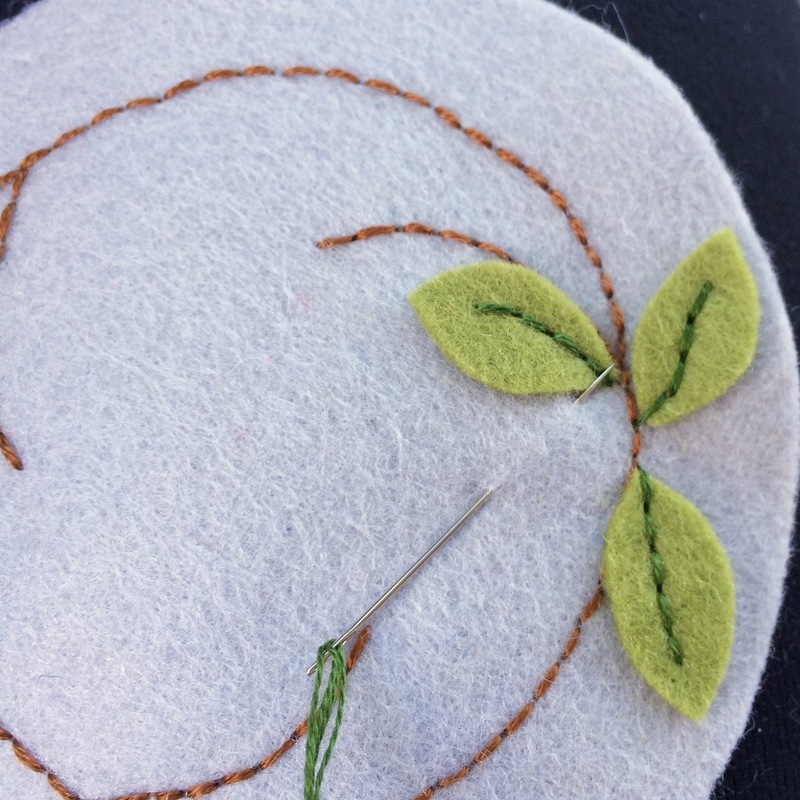 I began working on this pincushion in the car while my daughter was riding which is why the light is different in the first two photos. 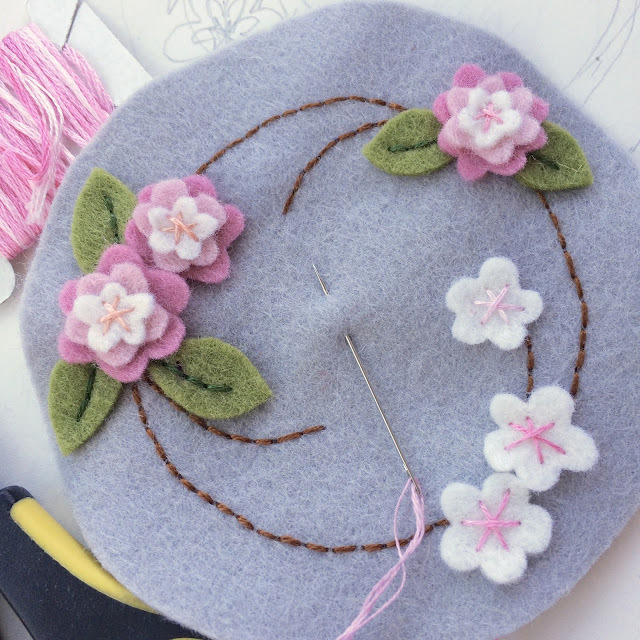 I stitched a simple wreath with brown thread to give me something to work from. 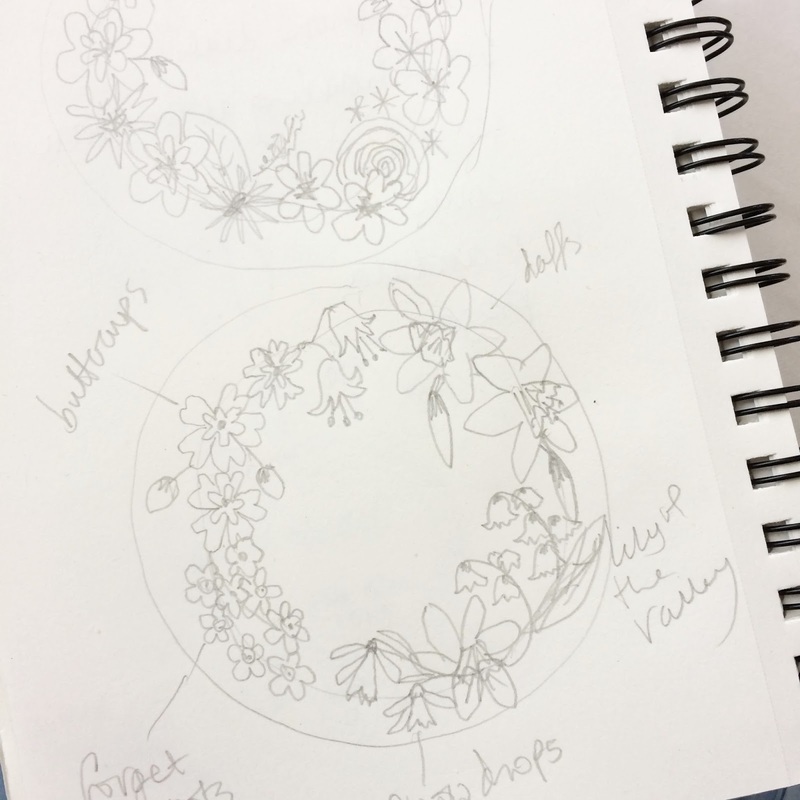 Then I added the leaves and flowers as I went. 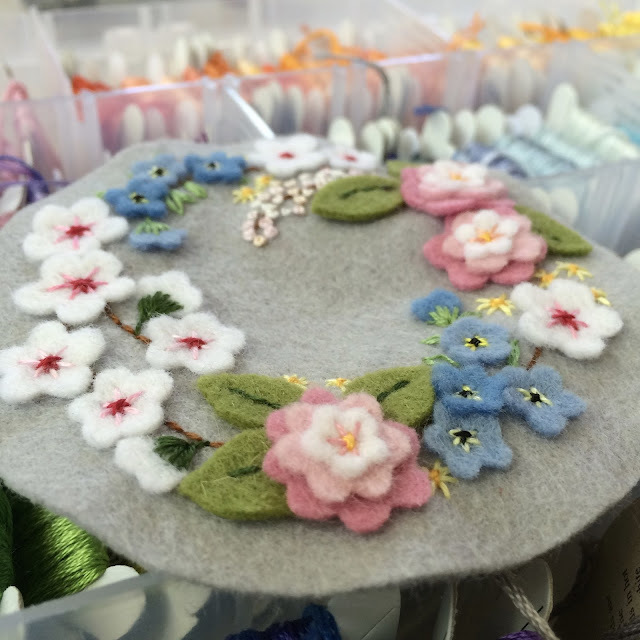 Each leaf and flower is individually hand cut. Below are photos taken at home and these are the true colors. The little blue flowers are forget-me-nots and the others are just imagined blooms! I'm not sure what I'm going to put on the side band yet, or even what color it will be. 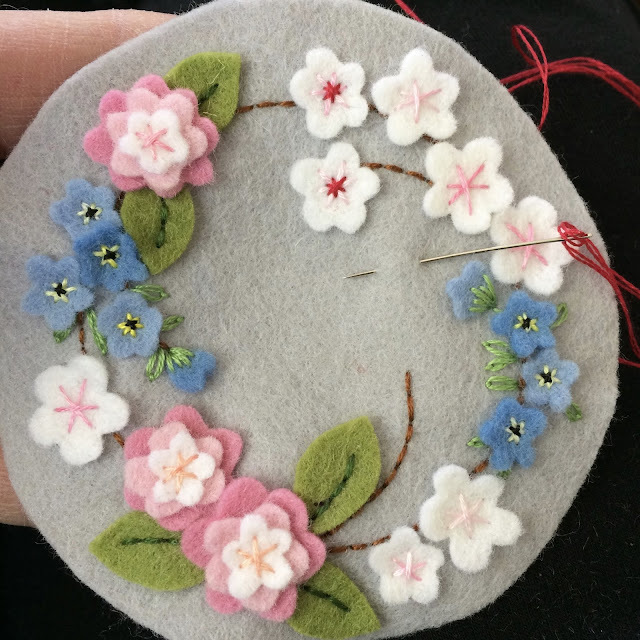 The next pincushion top that I will be working on will be similar but with English woodland flowers, daffodils, snow drops, bluebells and primroses etc. Tia's First Trip To The Beach!